Military-Standard Waterproof Case 5 (W/ Layered Foam) from SKB is constructed of ultra high-strength polypropylene copolymer resin and sealed against dust and water. The hard outer shell is impact resistant and features a rubber cushion grip handle for easy transport. Inside, layered foam provides padding for your equipment, ensuring maximum protection. An automatic ambient pressure equalization valve self-adjusts based on your altitude. The case accepts TSA latches so you can keep your equipment secure while still conforming to airport security requirements. The case is resistant to UV, solvents, corrosion, and fungus, making it the best way to ensure maximum protection for your equipment at all times. The case comes with a layered foam interior for full equipment protection. 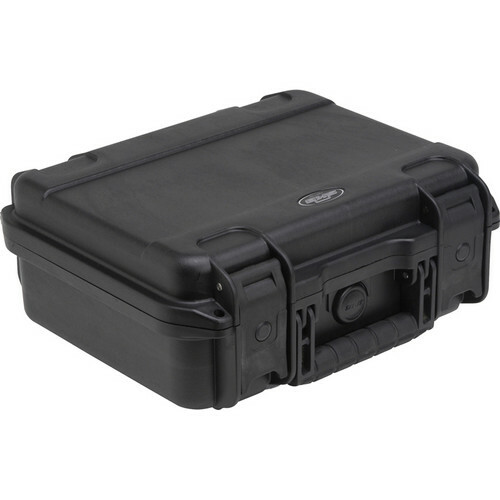 Military-Standard Waterproof Case 5 (W/ Layered Foam) is rated 5.0 out of 5 by 1. Rated 5 out of 5 by AVLive from Great Box Great case! Love it just like all the rest of my SKB cases.